First Rehearsal following the summer break! This week, Wednesday 5th September, see us starting rehearsals again following the summer break. Whilst its been great to have a few weeks break to enjoy the weather and holidays it will be great to get back to playing again. 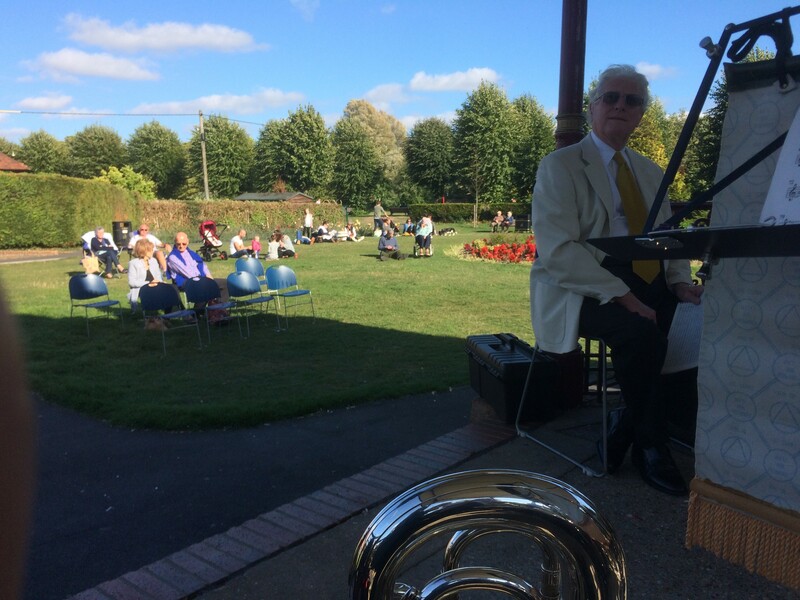 In a couple of weeks we have our next concert which will be in Newbury on the bandstand in Victoria Park. The band will be playing from 3pm to 5pm with a short break in the middle for tea and ice creams! Following that we will be playing for the Remembrance Day event in Kingsclere on the 11th November. If you know anyone who fancies coming along for a blow with us please get in touch and we would be pleased to hear from you.